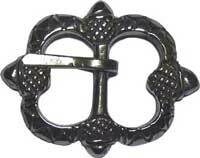 Note that we have many different buckles available; this page is only a sampling. If you have something particular in mind, let us know and we will do our best to accommodate you. 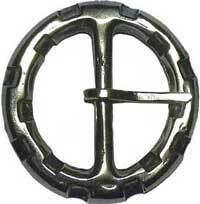 Tritonworks standard buckles are quality buckles at bargain prices. This is important since the belt hardware is the single most expensive item on the scabbard. We've found a new high quality source for these which we are very excited about. These are fantastic for the price point and the only reason we are not selling them as premium buckles is because they are brass instead of bronze. 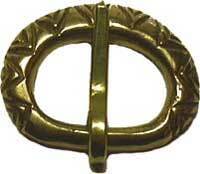 Our supplier tells us that he will soon have them in bronze for a higher cost. 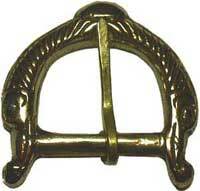 When that happens we will also be carrying bronze versions as premium buckles. 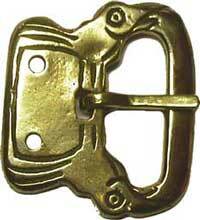 All of the buckles shown are brass but they can also be silvered. 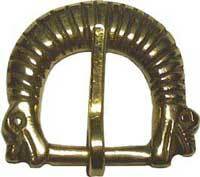 Tritonworks premium buckles are the best, most historically accurate buckles money can buy. The buckles shown here are from the Roman, Migration, and medieval periods, but if you are looking for another era or culture, let us know. 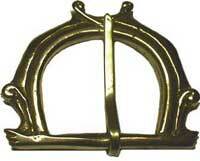 Getting these high-quality buckles requires significant time and expense. 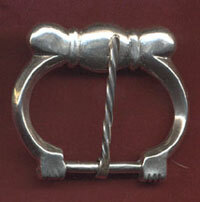 If you wish your scabbard to feature one of our imported buckles, you must let us know at the time you place your order. 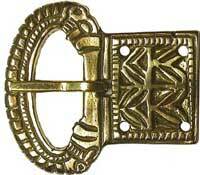 Sized to fit a 1.5 to 2 inch strap, Medieval buckle 13th to 15th century. Available in either gold or silver finish. 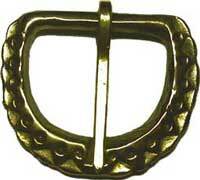 Sized to fit 1.5 to 2 inch strap, Medieval buckle 12th to 15th century. Available in sivler finish only.